My Family Online’s comprehensive suite of services and training has been formulated to keep your family history in a state of ongoing completion. 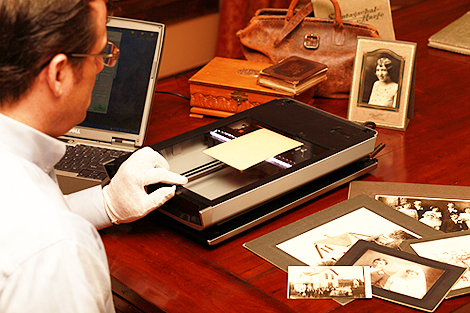 We can provide you with any resource you may need from scanning services to the website to publish and share your genealogy to research worldwide. My Family Online is a true One Stop Shop that can provide you with all of your genealogy needs in one place. My Family Online offers consultation, publishing, research, document transcription, translation (call for language list), local area research, training, document retrieval, fan charts, collaboration, family updates, FamilySearch training, scanning, presentations, data-entry, photo archiving, video archiving, audio tape digitization and transcription, auto tape archiving, photography, classes, presentations, backups, reunion planning, genealogy software training and much, much more. Call for more details at (800) 285-1888.